Discussions Magazine Music Blog: LOVE AND THEFT/Self-Titled Ablum: Available July 24th, 2012! 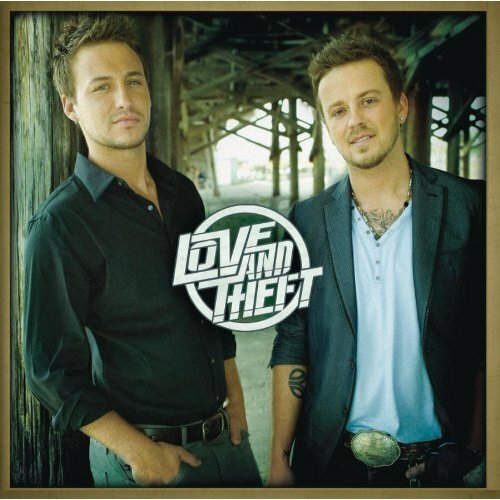 LOVE AND THEFT/Self-Titled Ablum: Available July 24th, 2012! Love and Theft is a bit different from the group that scored a Top-10 hit two years ago with "Runaway." But the changes that have affected the group- most notably, signing with RCA Records and downsizing to a duo - have actually brought Love and Theft closer to what it originally set out to be: a band that writes, records and performs honest, soulful country music. While Stephen Barker Liles and Eric Gunderson are proud of their successful first effort, they admit it wasn't the genuine sound they were hoping for - a tone they ultimately discovered when they recently returned to the studio under producer Josh Leo (Alabama, Nitty Gritty Dirt Band).